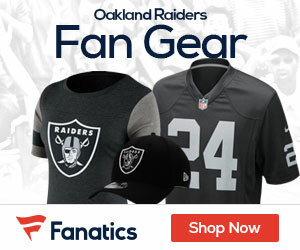 The Raiders were listed as one of the five team’s Anschutz Entertaining Group CEO Tim Leiweke identified as a possible Los Angeles relocation candidate in an article that appeared in the Orange County Register. “St. Louis, Jacksonville, not extensively, certainly Oakland, San Diego, Minnesota are still in the mix,” Leiweke said. “We’re not packing any (moving) vans right now.” In a statement released on Friday afternoon, Raiders CEO Amy Trask denied that the club was for sale. “The team is not for sale. It will remain with the Davis family,” Trask said via Jerry McDonald of the Bay Area News Group. McDonald adds that the Raiders’ lease runs through the 2013 season, and that the team is focused on getting a new stadium built on the current site. AEG hopes to have a new stadium in downtown Los Angeles built by 2015.